Over the years, smartphones have been gaining more and more functionality. They have replaced watches, GPS, alarm clocks, calendars, audio and video players. Now, an Australian is reinforcing the use of smartphones: as shields. On the morning of March 13, in Nimbin, Australia, a 43-year-old man was parking his car in the garage. He spotted an individual holding a bow right in front of his house. As he found the activity somewhat suspicious, he decided to take a photo. The archer then armed the bow and fired in the direction of the owner of the house. 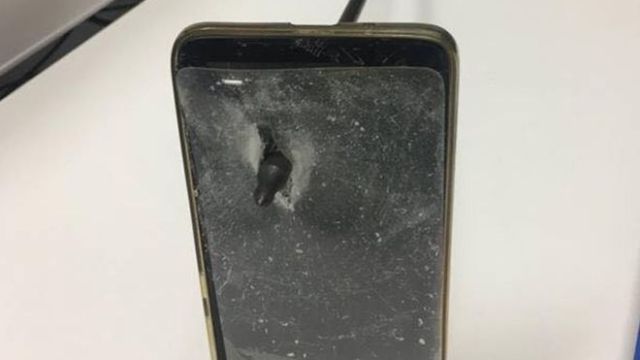 The arrow hit the cell phone that was pointed at him. 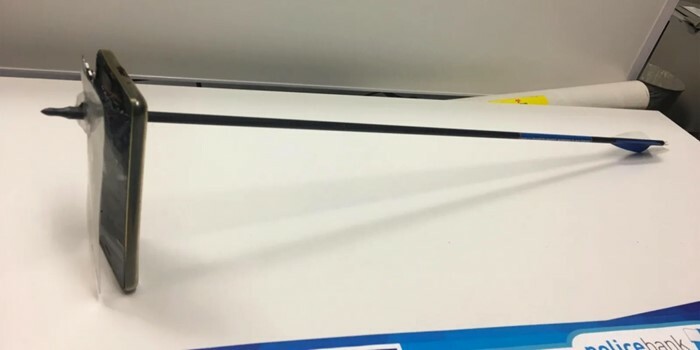 The arrow stopped after piercing the smartphone. It even completely ripped off the film that protects the screen. With the impact, the device was thrown on the face of the victim. So he suffered a small bruise on the chin. If the phone was in a front shirt pocket, the injury could have been worse. Since that whole arrowhead made it through the object. The attacker, a 39-year-old man, was arrested at the scene on charges of attempted bodily injury. As he has paid bail, he has been released. He will wait in freedom for his trial, which will be in April. The poor cell phone, though he was the hero of the story, will not even have the replacement covered by the warranty.